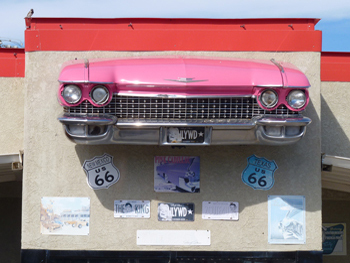 Small Town America Photographs. 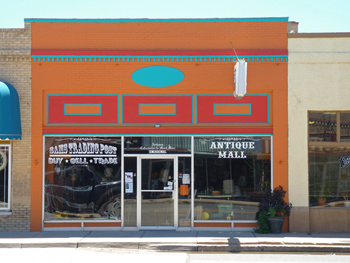 Clayton, New Mexico. 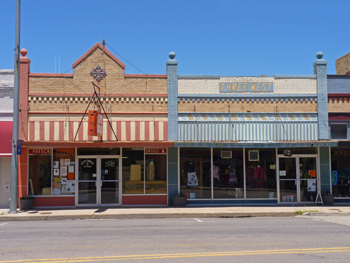 Clayton, New Mexico is in the top north east corner of the state, and is the county seat of Union County. 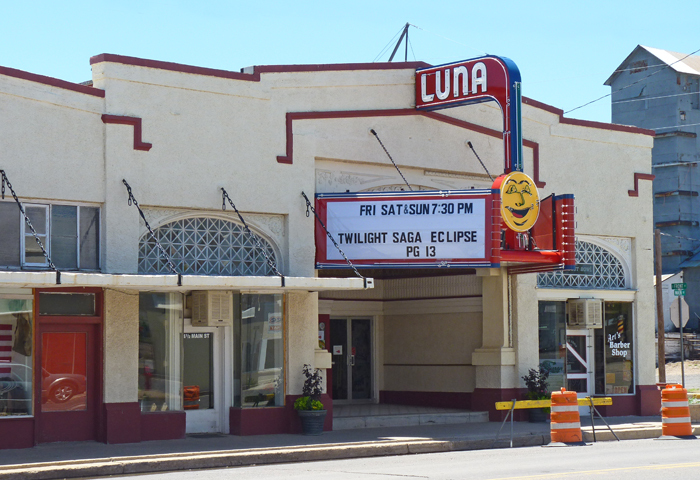 In 2000 the population of the town stood at 2,524. 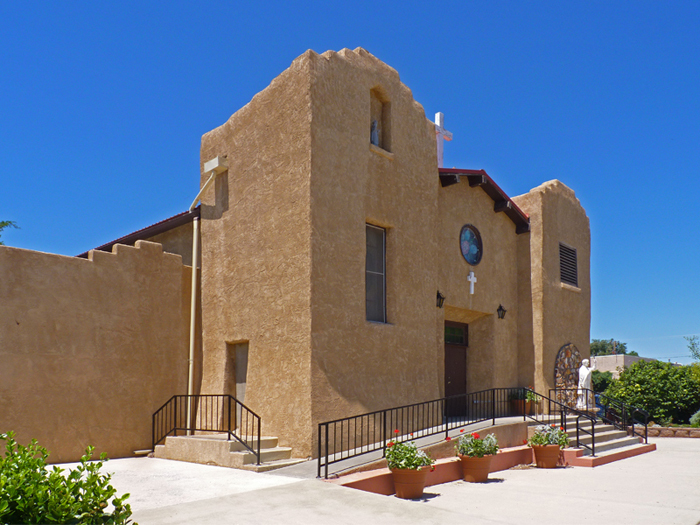 The town was established in 1887 with the arrival of the railroad, although a settlement here had been used as a resting place for cattle drives, trade caravans, and wagon trains travelling along the Santa Fe trail to the west coast. 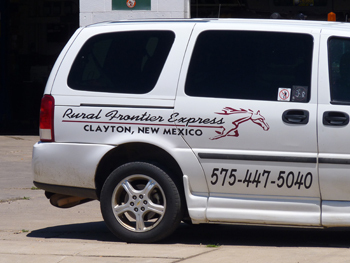 After the arrival of the railroad, Clayton became a major livestock shipping center for herds from the Pecos River and the Texas Panhandle. 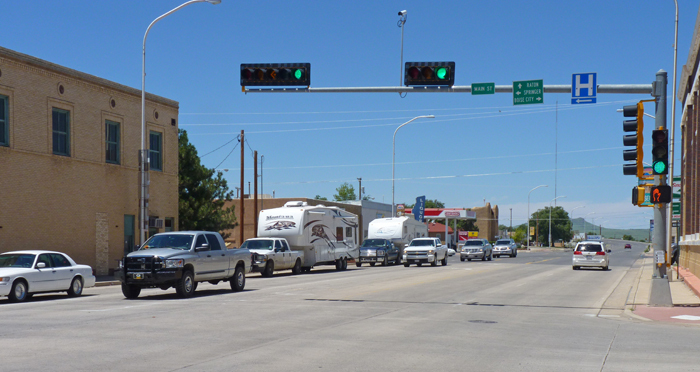 Today, it is a convenient stopping point for tourists travelling between Texas and Colorado, who can make use of the several motels in town. First Street is the main route through town. 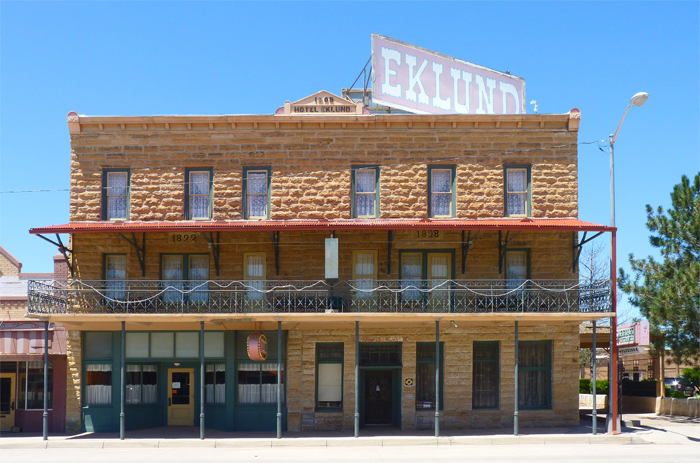 The Eklund Hotel was built in stages between 1892 and 1905, and for many years was the only first class hotel for miles. Unfortunately, the recent owners went bankrupt in 2008, and the hotel has remained closed since then. It is now a listed historical building. For travellers there are several motels in town, including a new Days Inn. 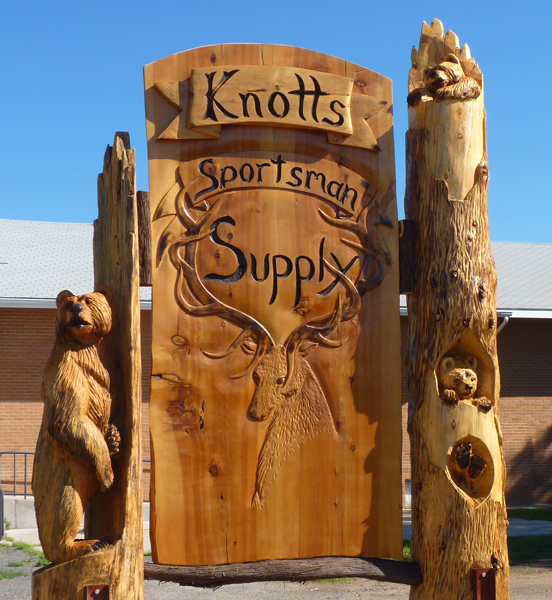 Wonderful wood carving outside Knotts Sportsman Supply. 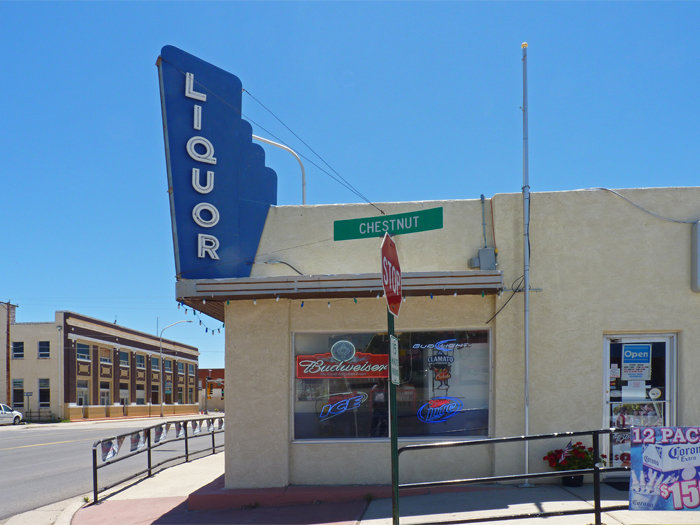 Liquor Store with Art Deco-style sign. The Herzstein Memorial Museum. 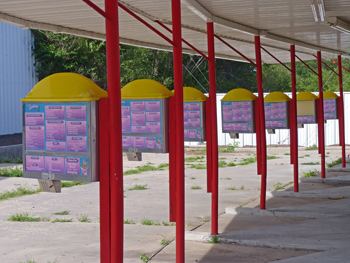 This museum is owned and operated by the Union County Historical Society. 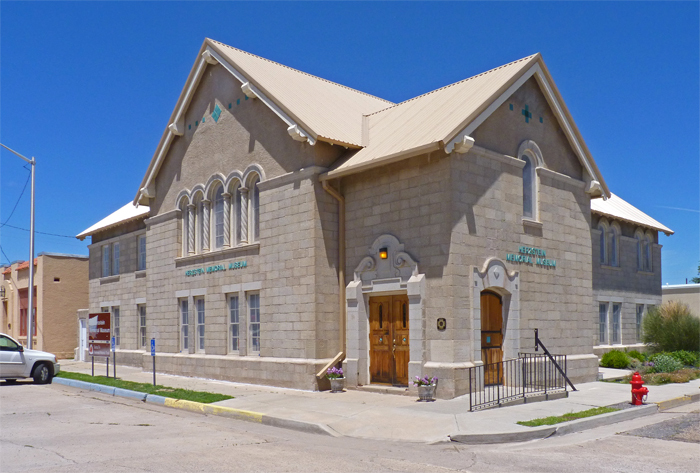 The building was constructed in 1919 as a Methodist church. In 1987 Albert Herzstein, who spent his boyhood in Clayton, provided the funds to renovate the building and establish the museum. Clayton Civic Center. 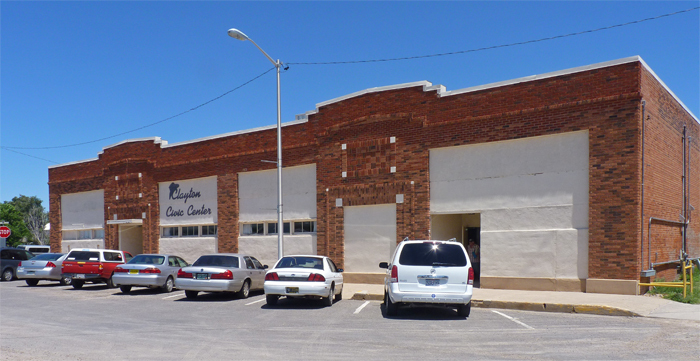 The 2010 Barbed Wire Super Show was held here. Route suggestions seen when travelling towards Colorado. 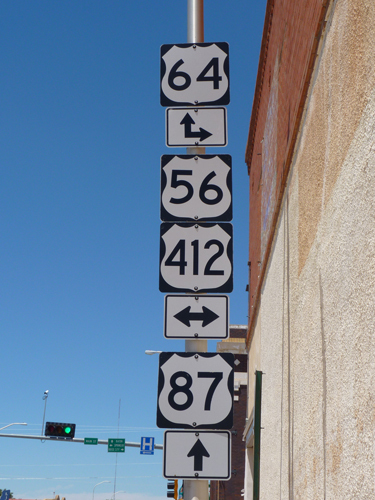 A right turn here leads to Oklahoma, just 12 miles away. 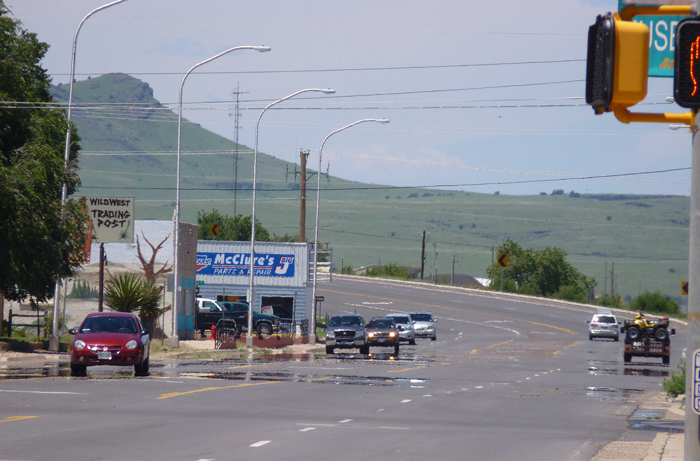 A left turn leads to Springer, New Mexico; whilst straight ahead takes the traveller to Raton, the I25, and Colorado. First Street takes a curve to the left as you head out of town, towards Raton and Colorado. 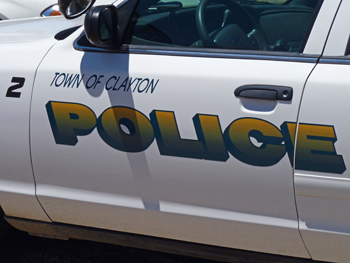 The railroad came to Clayton in 1887, and the town developed into a major livestock shipping center for cattle herds. 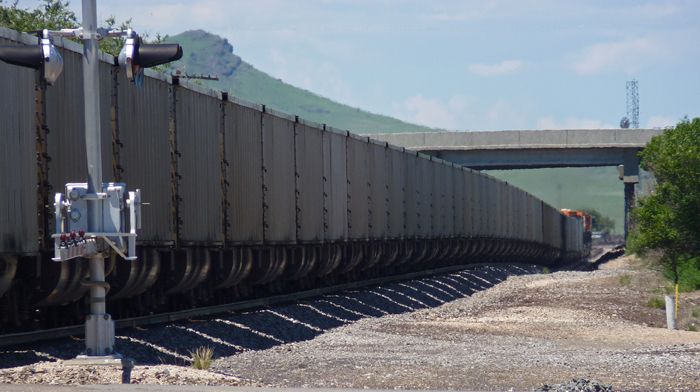 Today, the railroad is still busy, but with coal trains running between Wyoming and Texas. 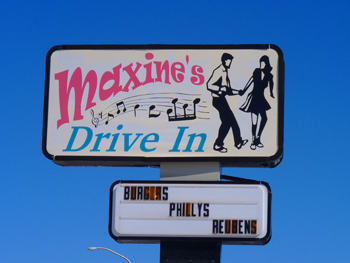 Sadly, Maxine's Drive In has closed down. 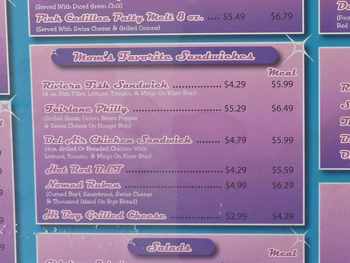 This eatery obviously had a motor theme, with the car front on the facade, and the food items mostly having a car name, as seen in the image above.